Interview with Atte Rytkönen from DressLikeA | Keikari.com Interview with Atte Rytkönen from DressLikeA | On classic men's style, elegance and the beautiful life. AR: 28, Legal Advisor / Lawyer. AR: Master of Law (graduated 2012). AR: Yes, I do have a spouse whose own style actually is impeccable, no hassle but very clean and simple. I’ve said that she leaves me in the shade when it comes to style and dressing up. But I guess that’s the way it should be, so I just try to make my best and stand up to those standards myself. I think shopping and dressing-up in general is more like a mutual interest where both can rely on another and ask for another opinion when needed. In terms of the blog, more than anything I think she’s just supportive and understanding. And no, I have no children. VR:…and your parent’s and siblings’ reactions back in the days? AR: Well, I guess this hobby or enthusiasm has never been a problem for any of them but, on the other hand, they’ve never had any other kind of reactions on the matter either. They’ve realized from the start that it’s a permanent part of me. The feedback I’ve gotten from my mother or from my brothers has always been positive, and I think in a way the sparkle for being well-dressed dates from my childhood, when my mother always took care that all the children were appropriately dressed no matter where we were heading. Secondly, when I was younger, I used to look up to my brother who I felt was very stylish and properly dressed. Nowadays, however, the roles might have changed and I’m the one taking care of their shoes and garments and all the gifts they ever get from me are somehow clothing-related. I guess (and hope) they’re pretty fine with it. AR: To put it shortly, sports — in all kind of forms. I played ice-hockey till I was 18, I’ve played football, floor ball and I used to dance for quite a many years as well. Nowadays, it’s mainly gym, jogging and taking care of myself in other ways. I still follow ice-hockey and other sports pretty closely and my team HIFK has a huge place in my heart. Basically, I try to go to every home match they have during the season. Also, I’ve always been fond of good food and drinks, but I’d say recently that interest has gotten bigger and bigger. I’m definitely not that good a cook and I can’t say to be an expert when it comes to wines or other drinks, but I really enjoy good restaurants and feel passionate about drinks in good company. VR: How did you first become interested in clothes, and when did you turn your eyes towards classic clothing? Why these instead of fashion pieces? AR: I think it was in the end of primary school or the first grades of secondary school when I first time was influenced by, and got interested about, trends and fashion (such as Adidas Superstar sneakers, Micmac jeans, etc.) I got very inspired by David Beckham who I really looked up as my idol and at that time I started to pay attention to the way I looked for the first time (for real). During my years in secondary school and high school I got “awarded” as being “The best-dressed guy” and “Trend of the year” in our school so I guess that also feed my interest in its own way. In terms of more “classic style,” I guess part of it originates from the way I was raised (as mentioned earlier) but most of all I believe my occupation, and the fact that I’ve always wanted to be a lawyer, plays a big role in it. Through these ideas, visions and, of course, many TV-series, I’ve always had this picture of how one should be dressed in legal profession and what’s the standard in the field. So I believe that influenced the way I started to dress myself already in high school and why I became interested in menswear. And, well, “why these instead of fashion pieces” is a tough question and I probably would avoid such a strict statement when it comes to my own way of dressing. Actually, I would avoid it in general as well because I believe dressing oneself and style need always to be linked to the context, environment and era. 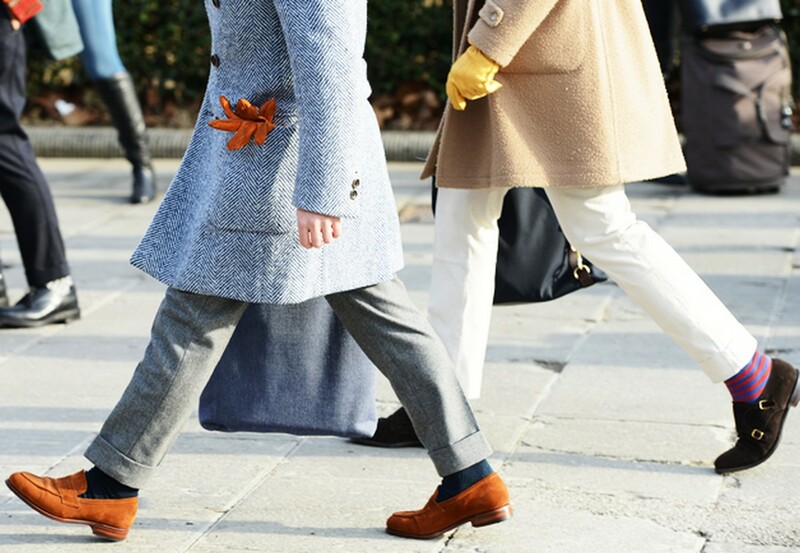 Thanks to the rise of the so-called #menswear-culture, classic style is now a “big thing” again, and someone could even claim it to be a trend at the moment. On the other hand, classic style has its own cycle and trends in terms of what’s popular and what’s not. Finally, it’s a fact that there are pieces that can be seen and called as “timeless classics,” and making those the core and ground of one’s dressing gives it not just stability but also versatility. 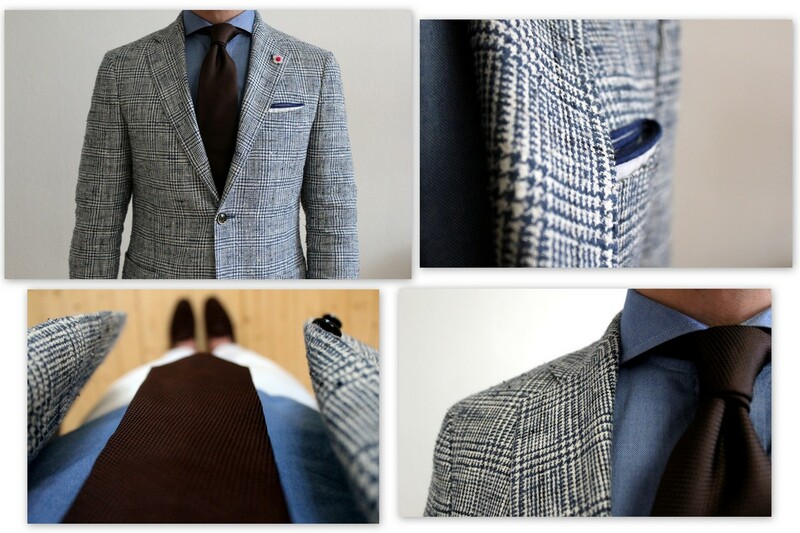 If we take the navy blue blazer and grey flannel trousers, for example, we have a classic combination that can be made suitable for almost any situation by just modifying the materials, textures and accessories chosen. So maybe it could be said that going with the classics make one’s choices easier and safer, but still choices need to be made on the aesthetic- and personal preferences. VR: How have you gathered your knowledge of apparel — from books, in-house training, workshops or somewhere else? VR: When did you decide to set up DressLikeA (at Blogspot) and what’s your motivation for the site? How do you select the content? AR: Well, it’s now been around three years since I started DLA, which in the first place happened after many of the people I knew had told me I should start posting. 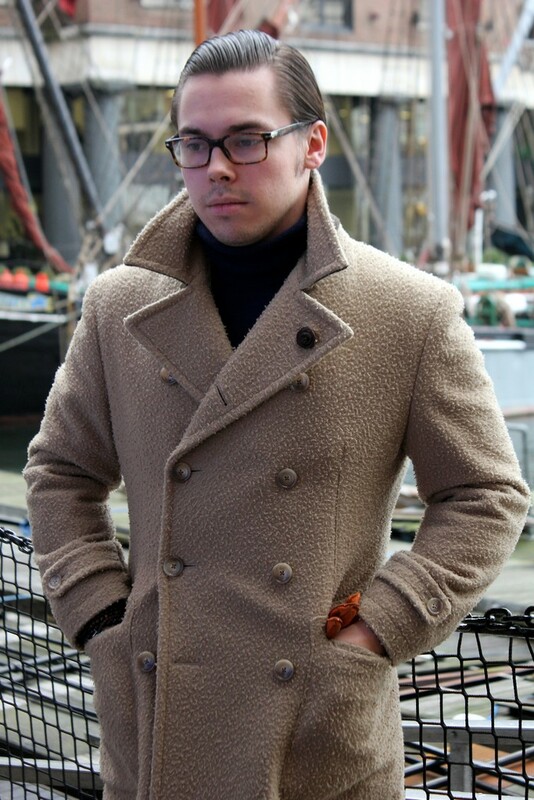 That, I think, was because during this time there were only a couple of blogs concentrated on menswear and men’s “classic style” in Finland (Keikari being one of the only ones). Despite this, the main reason for starting to post, however, was to use the blog as an inspiration board for myself. Many things have happened after that. From the beginning, or at least from the point when I moved my blog from Blogspot to Tumblr, the reception for the site has been more generous than I could have ever even hoped for. The main reason for my blogging is still to bring up content I get inspired by, but I also recognize the fact that through my posts I can inspire others. In terms of content, there are of course many sources of ideas and inspiration. First of all, nowadays I get a lot of feedback, questions and inquiries from my readers (which I’m really grateful,) so those often inspire me to write about products or how to wear or acquire some specific pieces, for example. 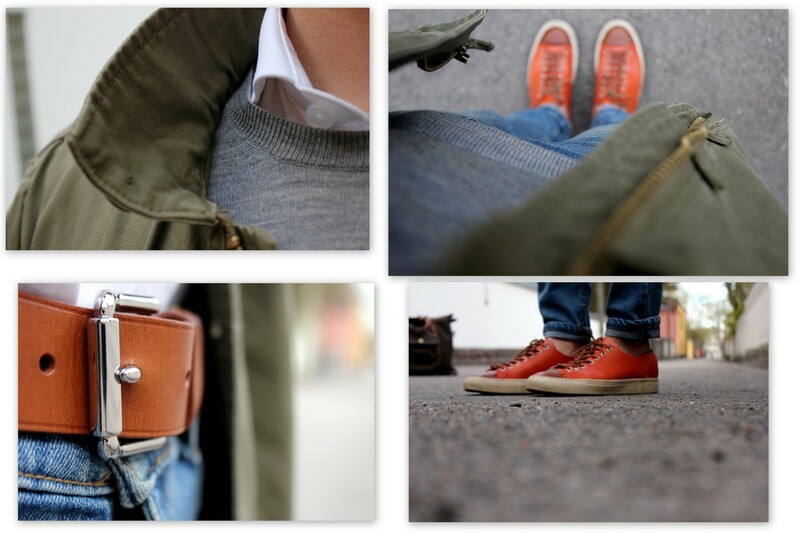 Secondly, the content of the blog is, of course, a lot inspired by my own style choices. Many times if I’m looking to buy something, or have bought something, I may find it useful to write about that to help my readers in case they’re going through a similar thing. And thirdly, there are obviously seasonal changes and trends that are interesting and inspiring to write about. There are many good Tumblr-blogs (and #menswear-blogs in general) so what I’m trying is to make DLA original and personal, and to be something that stands out of the crowd while not just being one of the sites re-blogging the same pictures like others. VR: You’re also part of the new Tyylit.fi-website. When was the idea born and what plans do you have for the content? AR: Right, tyylit.fi is a project that has developed into what it is (at the moment) through the last couple of years. First of all, in a way to give credit for the founding of Tyylit, my thanks go out to you, Ville, because Keikari’s forum was the place where we guys now running tyylit.fi met in the first place. Tyylit.fi has two different sides, the blog and the forum. In the blog, there are three editors in addition to myself and, in terms of content; we try to cover not just menswear and clothing, but to write also about movies, drinks, traveling, culture and lifestyle in general. We are just at the beginning of our journey when it comes to tyylit.fi but I firmly believe that it’s something Finland has been missing, and the kind of website there’s a real demand for. As I’m writing DLA in English and most of my readers come from abroad, I did not want to change the language into Finnish. On the other hand, writing one blog in two different languages did not sound like a good idea either. So far I’ve been really satisfied with what we have done with #tyylit and I believe it will grow to be the biggest style and #lifestyle-site for men in Finland. So, whereas Keikari is mostly about classic style, tyylit.fi tries to cover style in a more broad perspective. Some people have tried to build some kind of a confrontation between tyylit.fi and Keikari, but I personally believe that, as the menswear-culture in Finland is still in its infancy, there’s definitely a place for both sites and both communities. VR: How would you describe your own dress? Which RTW makers and tailors do you favour? AR: My style is simple and adaptable. In general, I’d claim my style to be pretty versatile but always guided by the phrase “Whatever you wear, always dress to kill” — which actually stands as a guideline phrase for DLA. What I mean is that it doesn’t matter whether you’re wearing a suit or jogging pants, you need to be able to feel confident and representative in whatever you’re wearing. I try to keep my style always appropriate for the occasion; at work my style is mainly formal (whenever necessary), outside of work it has more of a casual twist. A couple of years ago my style was a lot more about bright colors and a lot of different details but I’ve come my way to learn how to keep it simple. Secondly, I personally admire Italian style as well as the way of thinking, so most of my influences and the style I’m aiming for come from there. 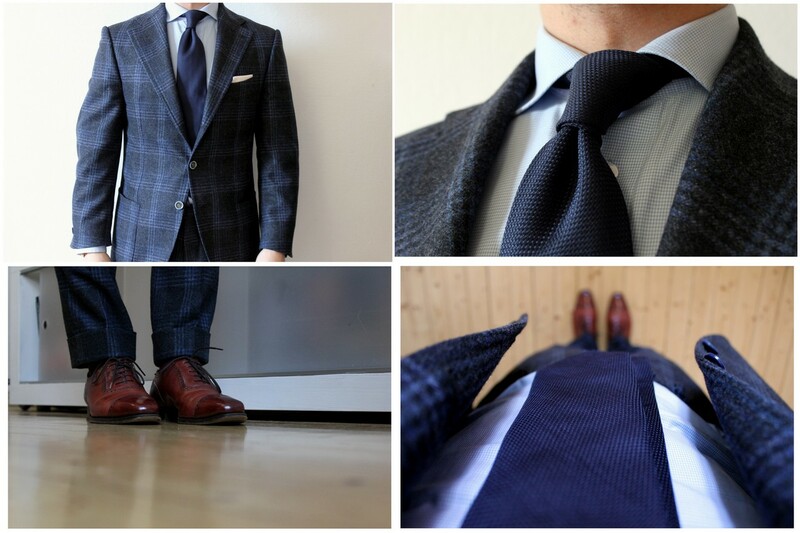 However, I am living in Scandinavia where we have 4 clearly different seasons, and every now and then it can get really cold and snowy, so even though one might be inspired by the Italian way of dressing, one needs to learn to adapt the style to the climate. All in all, style, clothing and dressing oneself need to be fun and inspiring, not something inflexible or something you are “forced to do”. You need to acknowledge certain rules and etiquette that are not meant to be broken, but, on the other hand, after you’ve learned to deal with the rules you can also learn how to break them in a right way. In terms of brands, shops and tailors, I more and more try to favor Finnish brick and mortar shops (such as Vaatturiliike Sauma, My o My, Fere and Schoffa) as well as stick with the brands I know the people behind of. When talking about brands, for suits and jackets I favor Lardini, G.Abo Napoli, L.B.M 1911, Tombolini and SuitSupply at the moment. Most of my trousers come from the Korean brand Finealta which is specialized to making just trousers, and I believe two thirds of my current ties are made by Drake’s or Viola Milano. In shoes, I have multiple pairs from Alfred Sargent, but I’m also a huge fan of Carmina and Crockett&Jones. Finally, I value a lot of (new) brands that are born from the passion of their founders, such as Christian Kimber Footwear and the before mentioned Viola Milano for example. AR: In general, I try to gather inspiration from everyone, wherever I am and whatever I see. But basically I happen to find most of my inspiration from people walking on the streets, the guys at Pitti Uomo or at NY or Milan fashion week, the people I have around me, the places I travel and very much the colors I see around me. In addition, I read a lot of other blogs and magazines which are a big source of inspiration for me as well — not only in terms of my personal style, but also for the blog of course. One thing I always want to point out, when someone asks about my inspiration, is a quote I found years ago on Styleforum; when it comes to developing your own style (or the style of your blog for that matter,) you need to separate inspiration from copying someone’s style. You must always investigate, you must learn, you must understand and then you must choose. If you’ve done your due diligence and appreciate the process, then you’ll never let “the popular opinion” dictate your success. Finally, there are many people I admire and I get inspired by. In case of certain individuals, I come up with names like Ezio Mancini, Renato Plutino, Yukio Akamine, Jeremy Hackett, Brunello Cucinelli, Alberto Scaccioni, Patrick Johnson, Agyesh Madan, Nick Ragosta, Antonio Ciongoli and one of my dear friends Tuomo Pynttäri from Vaatturiliike Sauma. VR: What is your definition of style? AR: I think style is all about good manners and respect for other people. In terms of clothing and style, I’d say it’s essential to be able to dress oneself according the situation and environment and to do that with simplicity, adaptability and personality. VR: Is there something you wish more men would know about dressing well? AR: First of all, simplicity is beautiful and most of the times less is more. It also might sound a bit arrogant, but one of the greatest recommendations that many times stands true is “If you’re not sure what you’re doing, don’t try it”. One can, of course, learn (and everyone does) through trial and error, but not everything needs to be done that way. So, if you’re not sure, play safe. 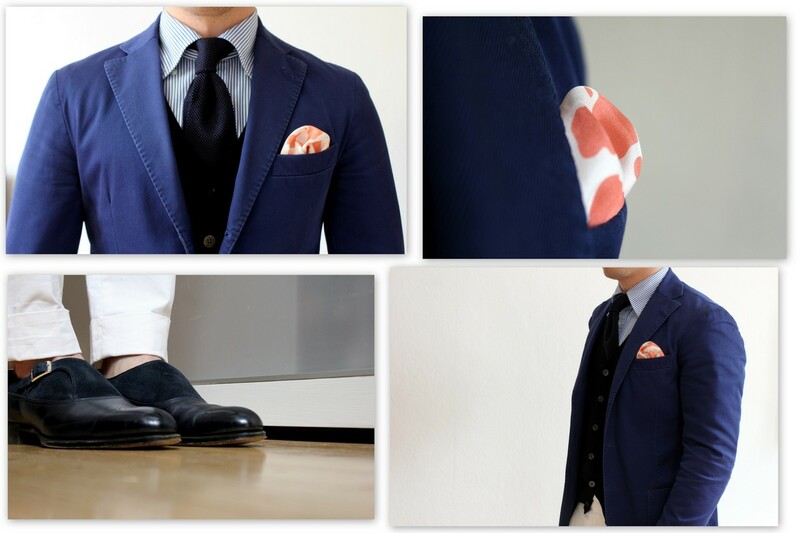 Go with simple combinations, follow the color-wheel, and mix colors and textures that are close to each other. As said before, you don’t need to follow every rule but it helps if you know them. 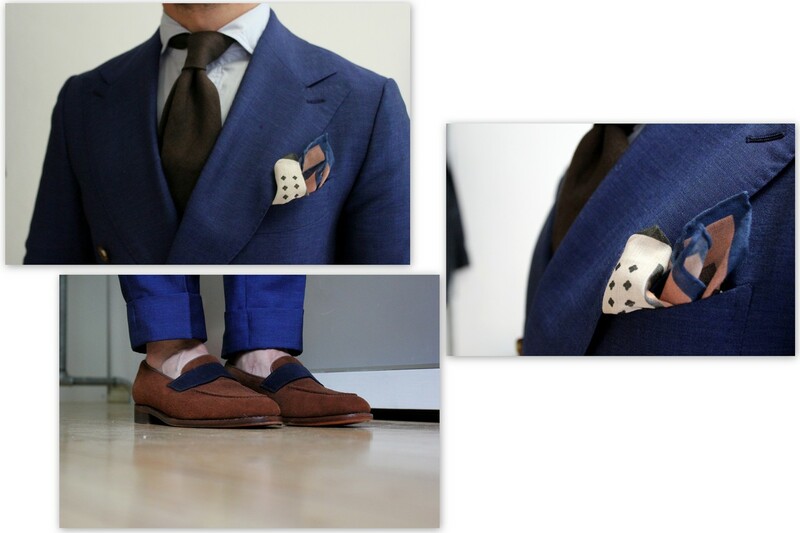 Secondly, dressing oneself starts from awareness, both for oneself and the environment. Age, presence, build, skin color, the specialties of body, and, through these combinations, finding the colors and style that suits oneself. Not all styles or clothing suits everyone, so just copying someone else does not lead you to success. In addition to yourself, you must also acknowledge the environment you are dealing with. If jeans and a polo-shirt are the norm at the workplace, it might look odd if you one day arrive to the office fully dressed-up wearing a suit and a tie and just giving the impression that you’re trying too hard. So, to put it shortly, dress according to your age, dress according to the situation and dress according to the environment. 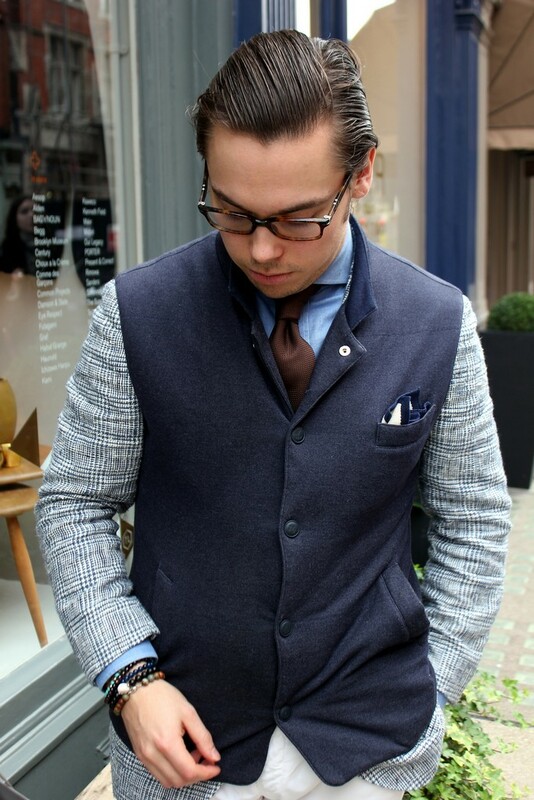 In the beginning, you should concentrate on basic acquisitions and build the wardrobe piece by piece. Start with garments that are versatile and choose quality not quantity. One can never underline the importance of a good fit. That’s the most important thing to pay attention to. You don’t need an expensive suit to stand out — jeans and a t-shirt will do if you just make sure the fit is right. After you’ve covered the basics, you can move to the next step and start making purchases just based on feeling. Finally, my advice for not just those who are in the beginning of their path but who already have covered the basics, who read blogs and spend time on the forums; Concentrate and focus your energy on how you can make yourself look better not through negativity or finding mistakes in the way others are dressed. 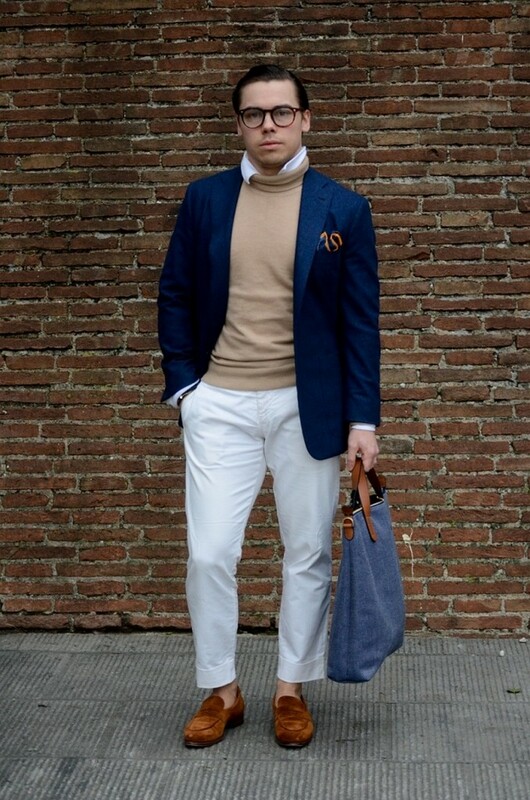 In the end, dressing up, menswear and clothing are supposed to be something that make you feel good. « Can I get vents added to my ventless jacket?